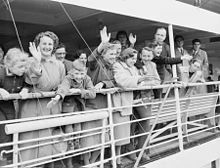 Successive governments dismantled the policy in stages after the conclusion of the Second World War of 1939-1945, with the encouragement of first non-British, non-white immigration, allowing for a large multi-ethnic post-war program of immigration. 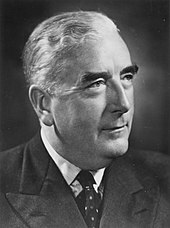 The Menzies and Holt Governments (1949-1967) effectively dismantled the policies between 1949 and 1966, and the Whitlam Government passed laws to ensure that race would be totally disregarded as a component for immigration to Australia in 1973. 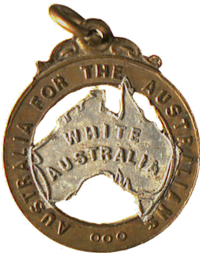 In 1975 the Whitlam Government passed the Racial Discrimination Act, which made racially-based selection criteria unlawful. In the decades since, Australia has maintained large-scale multi-ethnic immigration. As of 2018[update], Australia's migration program allows people from any country to apply to migrate to Australia, regardless of their nationality, ethnicity, culture, religion, or language, provided that they meet the criteria set out in law. ^ "At-a-glance: The White Australia Policy". SBS. 2013-06-13. ^ Jeff Waters (2013-06-20). "Academic Howard Nathan says Australia's race relations changed 'immeasurably for the better'". ABC News. ^ "Australia". Berkley Center for Religion, Peace, and World Affairs. Retrieved 2011-12-07. See drop-down essay on "Independence and Aboriginal Policy"